America’s Finest City has so much to see that you might think it’s impossible to do it all in just 2 days. But if you plan ahead and do your research, there’s no reason you can’t see the best San Diego has to offer. Here’s how to see San Diego in a mere 2 days! 9:00am: On your first day in San Diego, you can see many of the most popular attractions, museums and even the world famous San Diego Zoo all in one place. Many of them are located within Balboa Park, which makes it easy and convenient. 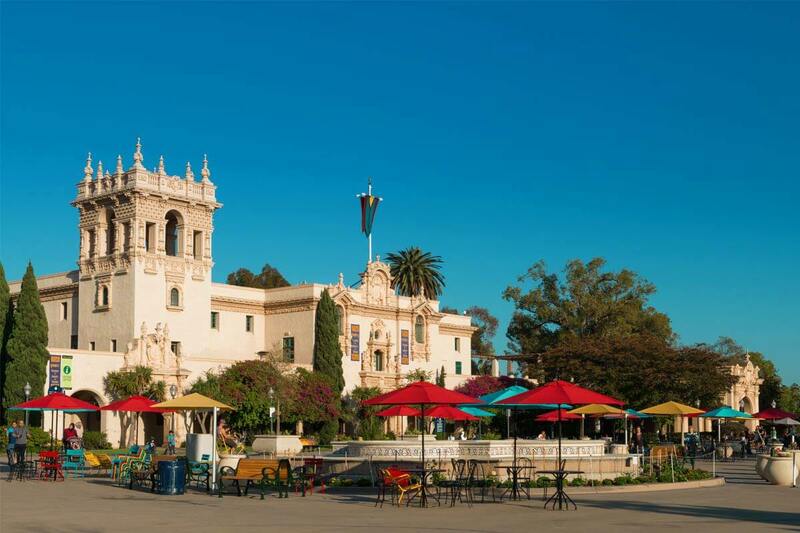 Balboa Park is home to 15 of San Diego’s most popular museums including San Diego Art & Space Museum, San Diego Natural History Museum, San Diego Museum of Man and Museum of Art, the Museum of Photographic Arts and more. 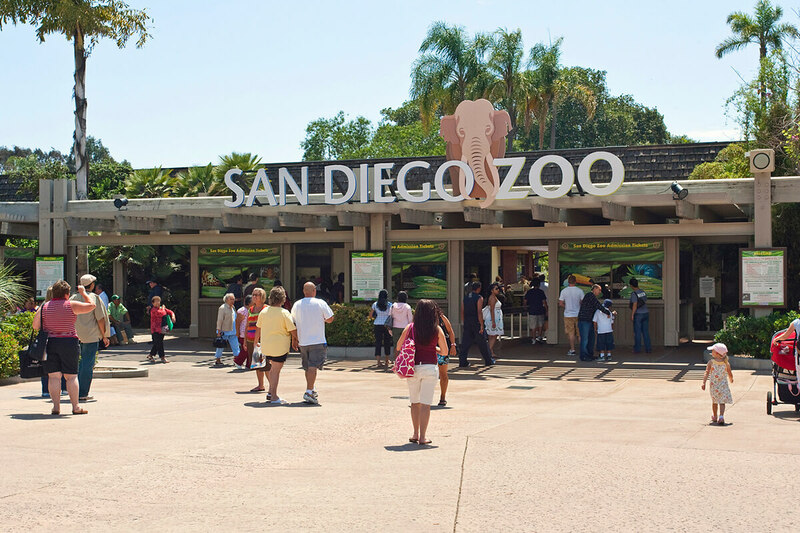 Home to 4,000 different animals, The San Diego Zoo is also located here. While in the area, be sure to catch the Spreckles Organ Pavilion, the Japanese Friendship Garden, the Veterans Memorial Garden and the Botanical Building. After exploring Balboa Park and seeing these major San Diego attractions, you still have time to check out some other popular sites. Head to nearby Little Italy to do some shopping and sightseeing and have an authentic Italian meal. This hilly San Diego neighborhood has many festivals and hosts a Farmers’ Market once a week. Next, head over to Old Town State Park, first established in 1821 and known as the birthplace of California. A visit here will take you back in time to an era when Mexico succeeded from Spain. As you tour this historic park, you can see original Adobe buildings where the first settlers resided and learn about their culture and heritage. The Old Town Market is also here, along with shops, restaurants, artisans at work and plenty of entertainment. Be sure to visit the Whaley House, an iconic Greek Revival House best known for its haunting past and paranormal activity. 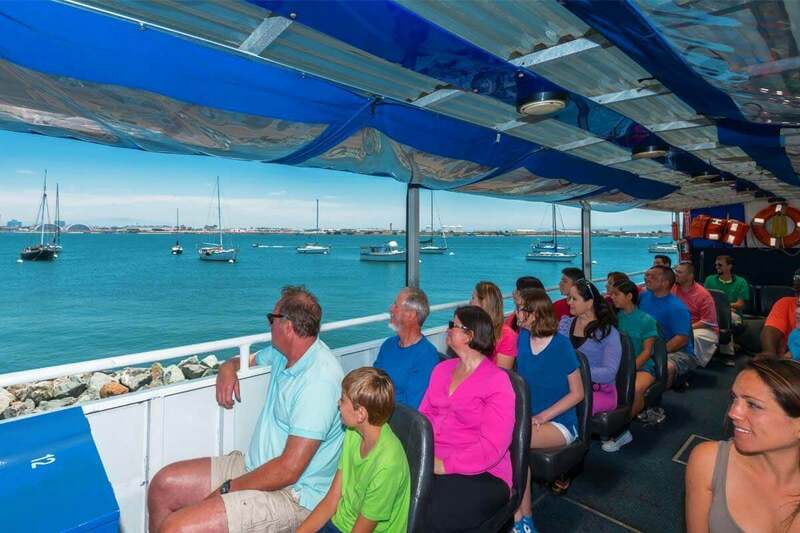 9:00am: First thing in the morning, you should head over to the famed Seaport for one of the city’s most unique and exciting sightseeing experiences, the San Diego SEAL Tour. You’ll see some of the most popular sights on land and water – all aboard a totally cool amphibious vehicle that is a bus and a boat all in one. It goes from the street into the bay and back again without missing a beat. You’ll learn interesting historical facts, cruise along in the bay and see the North Island Naval Air Station, Hotel del Coronado, the Maritime Museum, Seaport Village, Shelter Island and more. Spend some time in Seaport Village, where you can pick up souvenirs, grab a bite and enjoy the local shopping. Then, head over to the Gaslamp Quarter, one of San Diego’s most historic neighborhoods. Here, you can roam around more than 16 blocks of beautiful Victorian buildings, art galleries, sidewalk cafes, fine restaurants, boutiques, theaters, shops and more. You can also check out Horton Plaza, where you’ll find another six blocks of shops as well as restaurants, a food court, movie theaters and more. Before heading back to your hotel or to the airport, make a pit stop to see PETCO Park, home of the San Diego Padres. The ballpark is world famous for its magnificent architectural design, sight lines, and innovation. Then, just a short walk away is the ferry to Coronado Ferry Landing. You’ll be treated to beautiful bay views as you cruise for just 15 minutes to Coronado. Enjoy a delicious seafood dinner at one of the ferry landing’s restaurants as you sit by the water.